A richly illustrated guide to the myths, histories, and science of the celestial bodies of our solar system, with stories and information about constellations, planets, comets, the northern lights, and more. 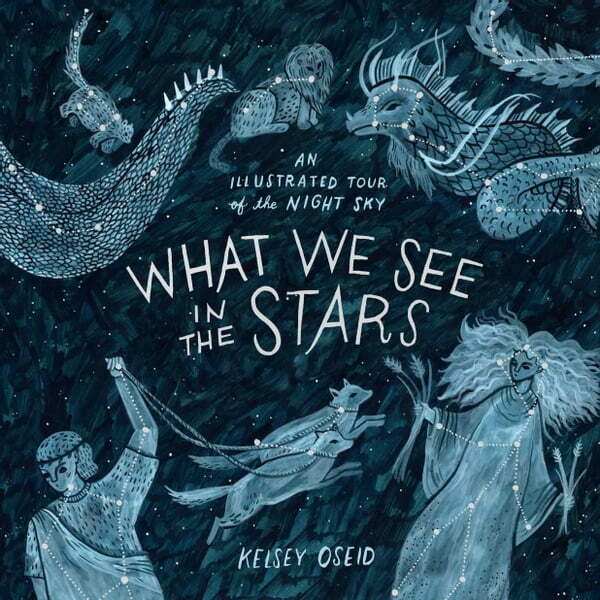 Combining art, mythology, and science, What We See in the Stars gives readers a tour of the night sky through more than 100 magical pieces of original art, all accompanied by text that weaves related legends and lore with scientific facts. This beautifully packaged book covers the night sky's most brilliant features--such as the constellations, the moon, the bright stars, and the visible planets--as well as less familiar celestial phenomena like the outer planets, nebulae, and deep space. Adults seeking to recapture the magic of youthful stargazing, younger readers interested in learning about natural history and outer space, and those who appreciate beautiful, hand-painted art will all delight in this charming book.